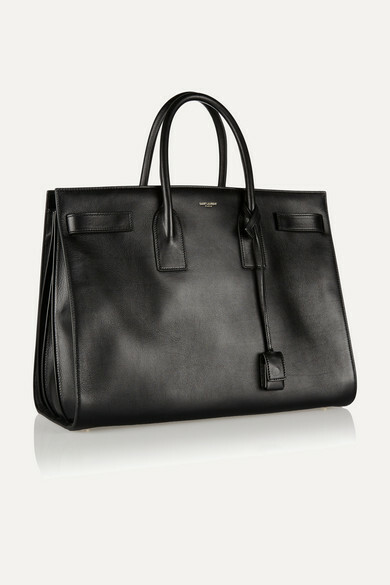 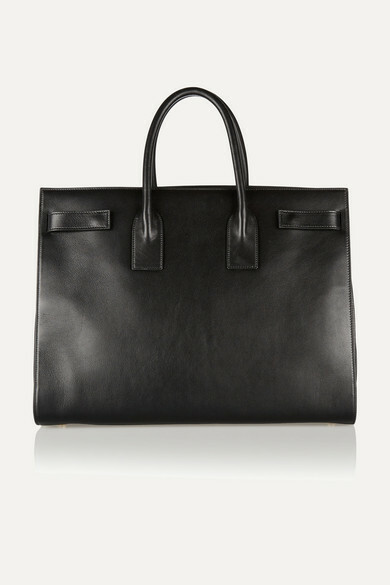 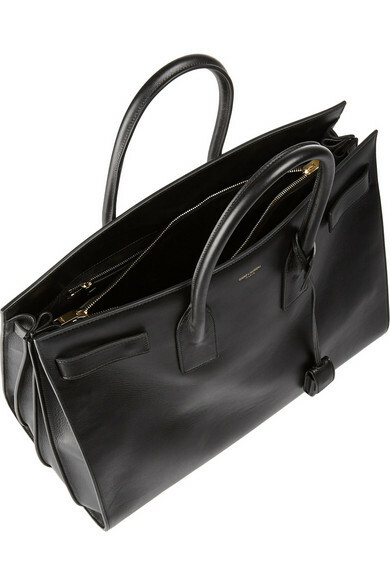 Saint Laurent's sleek black 'Sac De Jour' tote is timelessly classic. 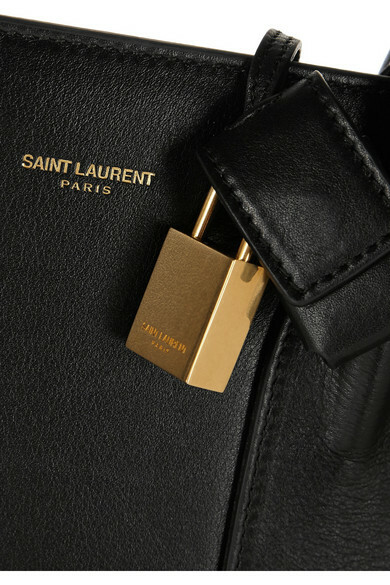 This leather design features the label's signature padlock, expandable sides and multiple internal pockets to keep your essentials organized. 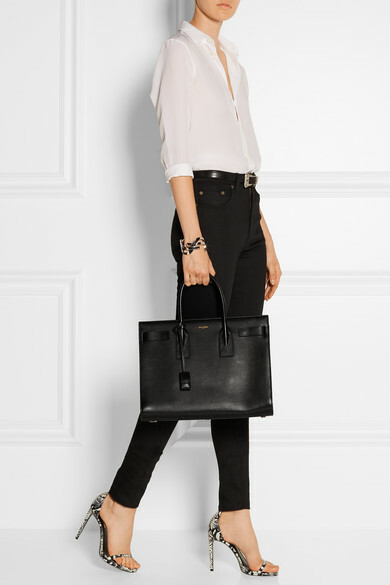 Shown here with: Saint Laurent Shirt, Saint Laurent Jeans, Saint Laurent Sandals, Saint Laurent Belt, Saint Laurent Cuff.